Step-parenting is a difficult thing, for starters. The fact that you have to deal with a family that is not your own is enough of a challenge without adding the objective responsibility of this new relationship. The fact is that everyone wants to have their own family remains incontrovertible, but the thing about life is that it does not always offer the sweet dish we want to eat. Sometimes we have to lump it, literally. 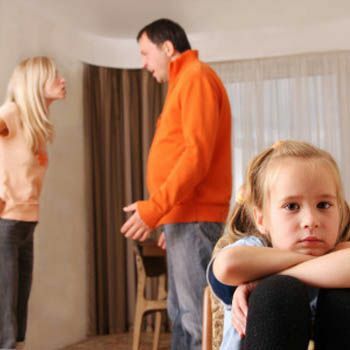 A thing about children is that as they grow, they get into arguments with their parents and when the parent is not biological, the disagreements mold into ugly bitterness and resentment usually lasting for life. Adjusting to this new routine is difficult for both parents and children. Being a parent, however, what is it that you can do to avoid arguments and mounting hatred? Given your sincerity to this new relationship, let us see how you can improve things between you and your family. To begin with, step-parenting is NOT easy. This new bond starts on shaky grounds. Remember you will not find things carved nice and sweet for you. Make up your mind that you have a huge challenge ahead of you. Muster up your determination and gather your courage and patience as you ready yourself for the new life. You are parenting a child (or children), who is already shattered due to his broken family and he is determined to give you one hell to vent his boiling rage. The tip is to not take personally what the kid says because anyone in your place will have to suffer same. Why, your step child may like you at the first instance but will definitely do negative things in your presence – just to irritate you. Behave maturely with such kids. Learn not to take whatever they say personally. Be quiet when they are angry. Do not speak when they are shouting. Patience is a virtue, be friends with it. Give time time. Your step-children will attempt to break your marriage if you become too nosey and it is a fact. Be patient, be gentle! Observe them, give them space and respect their privacy. Disciplining stepchildren is a huge challenge. Do not be harsh to your children. They will exaggerate your behavior. Before you decide to take the stick in your hands, it is better to discuss the extent and limit to which you are allowed with your spouse. Step-parenting would be miles easier if you start loving your step children irrespective of how they behave with you. Remember life is an echo; it gives you back what you give. If you will love them, they are going to love you back because it goes without saying that the children always Always ALWAYS need parents even if they do not admit.